I've caught the decorating bug and it has no intention of going away anytime soon. I've taken to Pinterest to decorate it out and I have to say my little space is coming together quite nicely on there. Now if only everything you pinned magically appeared in your room. Wouldn't that be amazing?! Anyways, I've love the coffee table book trend and have been searching for the chicest books to display in my room and eventually living space. 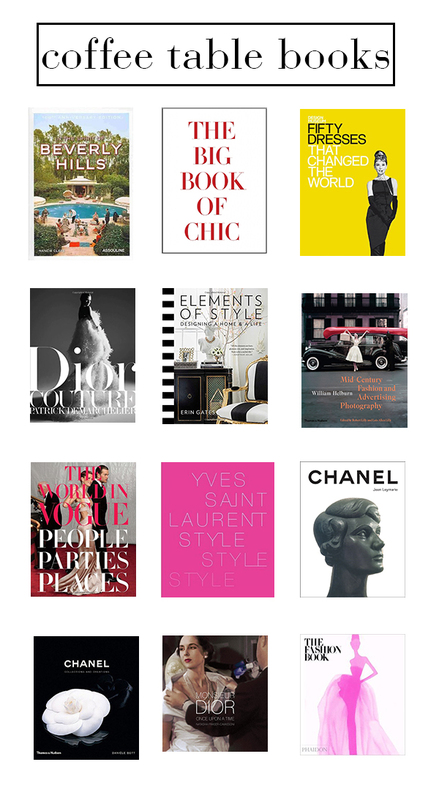 So here are my top coffee table book picks! I love fashion and most of the books I chose reflect that. There are bunches of coffee table books over a wide array of categories from photography to art, home and food and pretty much everything else in between! I love the way they look on tables, book shelves, desks, chairs, bar carts, etc. I think it's a great way to add color, inspiration and of course, display the beautiful books! Photo from let it be beautiful Pair them with some fresh flowers and you've got yourself a beautiful display! 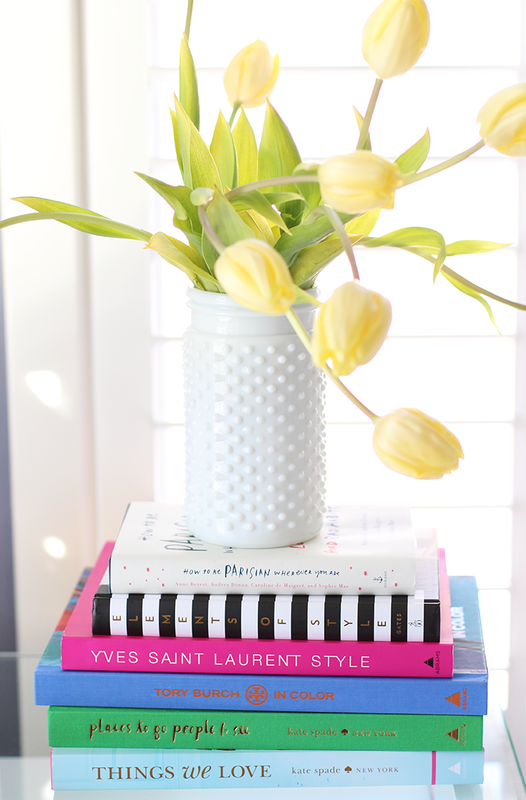 Currently, I have the Kate Spade Things We Love book and it's one of my absolute favorites. I love the cover and spine and the beautiful pages inside! I've looked through the Place to Go People to See and it just didn't catch my eye like the other one did. If you have it, what are your thoughts? Those are all my coffee table book picks to create the chicest coffee table, bookshelf, nightstand, or whatever other piece of furniture you're dressing up! "i have a coffee table, but i don't like it. i think it could use some more cream and sugar"